You are currently browsing the daily archive for December 5, 2011. Well, maybe not that different, since I’m not reinventing myself. 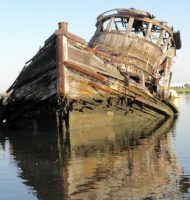 But enjoy these fotos, and while looking at them, fugure out where you’ve seen this tug before on this blog. Look carefully. It took me about 30 seconds to recognize the red tug below as a more pristine version of a tug that appears here periodically. Fotos were taken in the 1980s by Seth Tane, who generously shares them here. 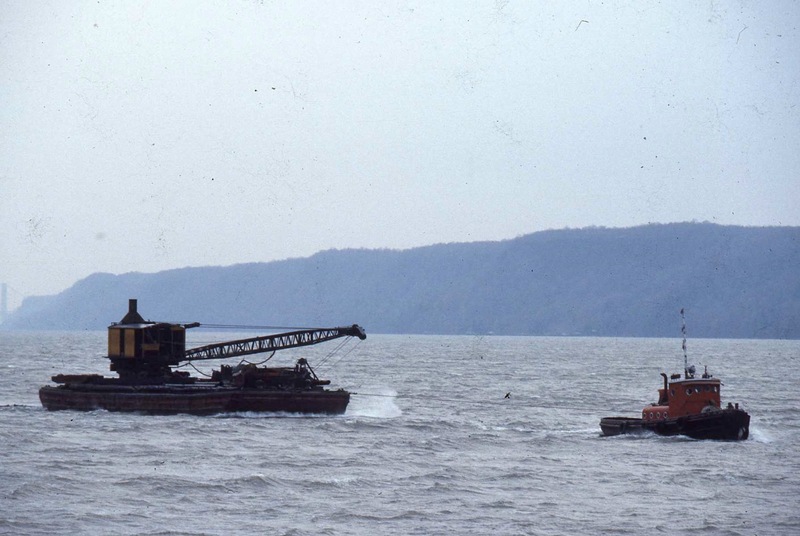 In its current state, this tug, using the same name, has considerably more equipment on board. What hasn’t changed is the profile of the Palisades in the background of some of these fotos, taken in or near Hastings-on-Hudson, NY. 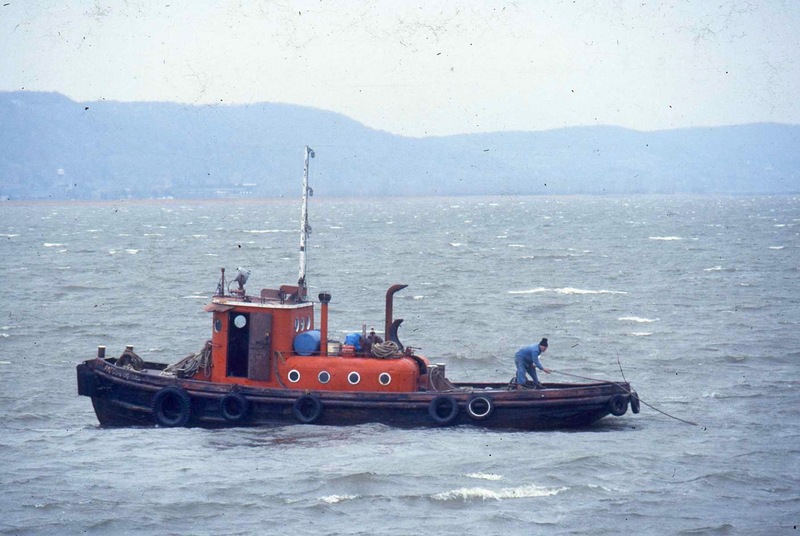 This tug today still operates commercially, pulling loads like the one below. A major change in the tug relates to visibility; the portholes would make me claustrophobic. 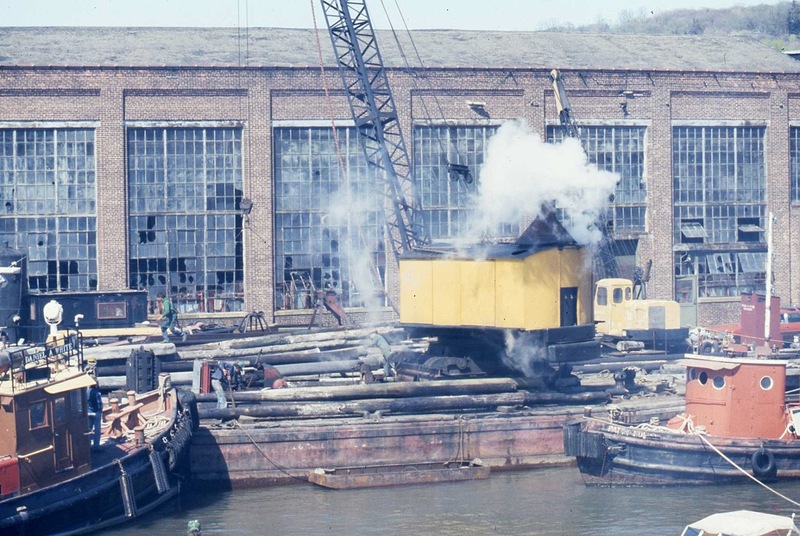 However, since the mystery tug was built on the Great Lakes, maybe portholes conserve heat better in winter. 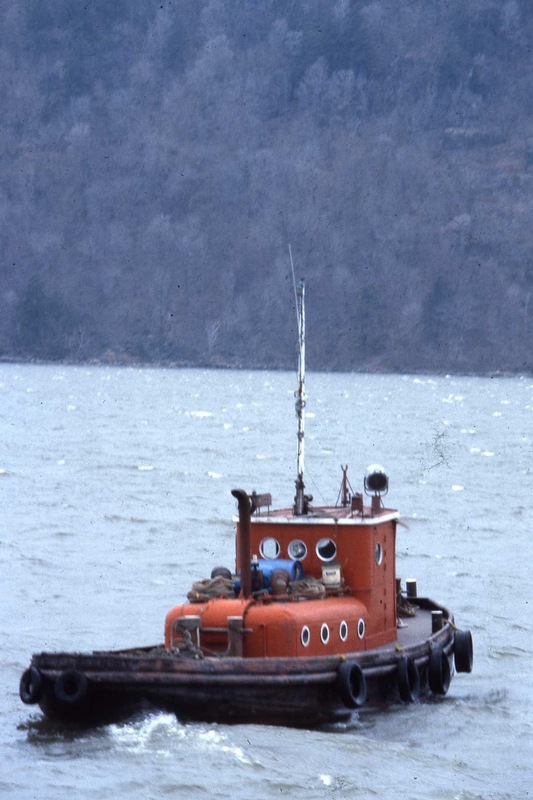 Tug Daniel A. White, below left, has more conventional glass. Anyone know what has become of Daniel A. White? If you guessed Patty Nolan, you were correct. Here’s her current work page, showing her original form. Click on the following links for a sampling of Patty Nolan fotos from the past few years, like modelling 2011 summer beach fashion, at work in the East River, moving snail-like with house, and finally . . . for now . . . Patty Nolan outlaw fashionista. Thanks much to Seth for these fotos from the early 1980s. an idea. Maybe you have fotos in a drawer, a shoebox, and album, etc. 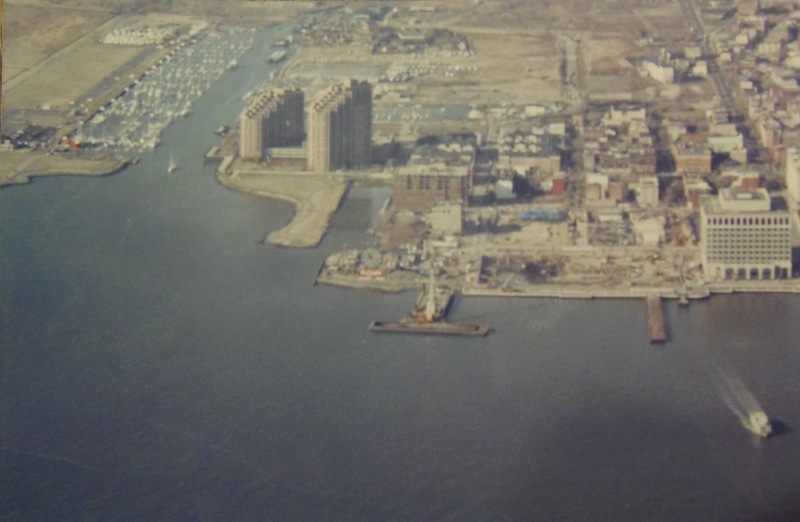 that show some part of the sixth boro and/or vessels there. And if I may so brazen, tugster would LOVE to see any fotos you might come across and are willing to share. Here was Something Different 4.